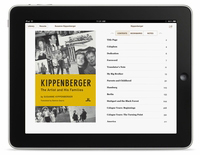 Paperback, 592 pages, 6"x 9"
Over the course of his 20-year career, Martin Kippenberger (1953–1997) cast himself alternately as hard-drinking carouser and confrontational art-world jester, thrusting these personae to the forefront of his prodigious creativity. 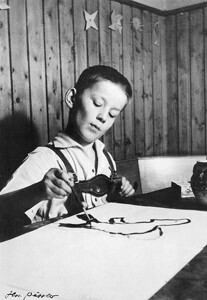 He was also very much a player in the international art world of the 1970s right up until his death from liver cancer in 1997, commissioning work from artists such as Jeff Koons and Mike Kelley, and acting as unofficial ringleader to a generation of German artists, including Markus and Albert Oehlen, Georg Herold and Günter Förg.Written by the artist’s sister, Susanne Kippenberger, and translated from the German by Damion Searls, this first English-language biography draws both from personal memories of their shared childhood and exhaustive interviews with Kippenberger’s extended family of friends and colleagues in the art world. 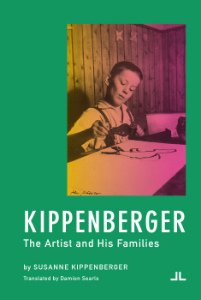 Kippenberger gives insight into the psychology and drive behind this playful and provocative artist. Right image: Opening of Martin and Albert Oehlen's show "Women in My Father's Life," in the Erhard Klein Gallery in Bonn, 1983. 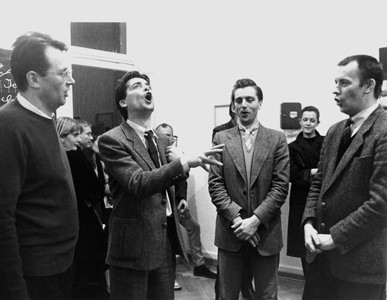 Max Hetzler, Werner Büttner, Albert Oehlen and Martin Kippenberger singing the miner's song "Glück auf, Glück auf"
The translation of this work was supported by a grant from the Goethe-Institut which is funded by the German Ministry of Foreign Affairs.